As photographers there are several things we look for when creating images that stand the test of time: emotion, light and composition. 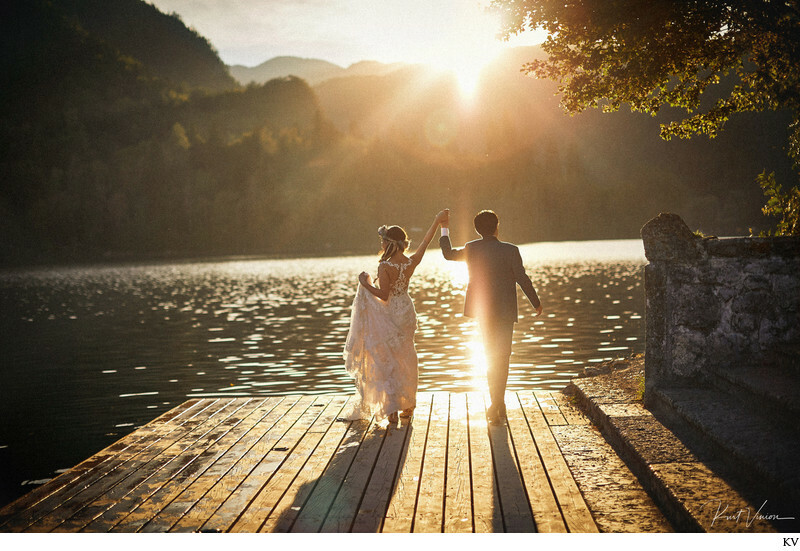 This images from S&T Lake Bled wedding beautifully captures how these two were feeling and the exclamation is how he held her hand aloft as they stared off into the distance towards the sunset. And who can blame them- after all how many lucky couples get to have their dream wedding at Lake Bled in Slovenia. Personally this is one of my favorite images that beautifully captures how these two were feeling at that very special moment in time. Keywords: destination wedding photographers Europe (3), Kurt Vinion (387), Lake Bled wedding (3), top destination wedding photographers (3), wedding photographer Lake Bled (3).